There are lots of simple, inexpensive things you can do to save money without sacrificing comfort. Packed with practical tips, this guide will show you where you're using water and energy, and offer a range of suggestions on ways you can reduce these and save money, not to mention helping to save the planet. Click Here to download your copy. (Source: https://yourenergysavings.gov.au/guides). Turn lettuce into tomatos! Bring along some of your home grown food, pop it on the swap table, then take whatever you think is a fair exchange. How do they work? They operate on an honour system, so there's no need to haggle. Most swaps are free to attend. A few request a gold coin donation to cover their opening costs. Depending on location, a few also require/encourage membership of the local neighbourhood house at $5-10/year. What to bring? Your home grown fruit, vegetables, herbs, seeds, plants, eggs, homemade preserves, seedlings etc. 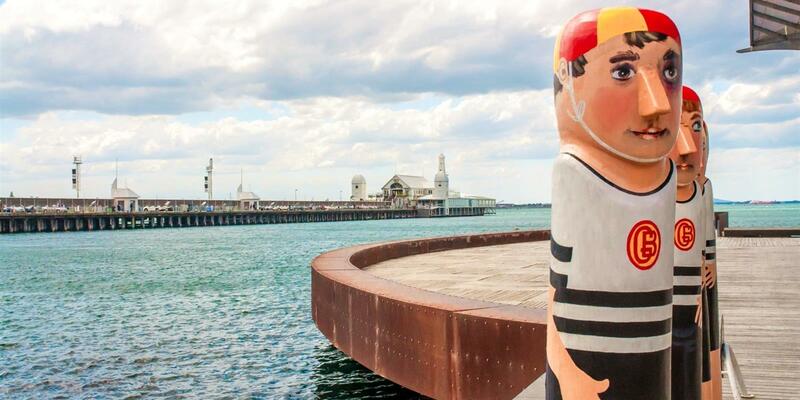 Click here for more information and for the Geelong Food Swap Locations. The average Australian family of four people makes enough rubbish in one year to completely fill a three-bedroom house from floor to ceiling. Whitegoods such as fridges, ovens, dryers, dishwashers etc can be taken free of charge to the Geelong Resource Recovery Centre. So can car batteries, old computer equipment and even your old hot water service– all free of charge! Steel is one of the world's most recycled products. In fact, steel is 100% recyclable. Pet food, soup and tuna cans are the most common steel products in the rubbish bin. Aerosol cans are one of the easiest of all the steel cans to recycle. However on average only 35% is being recycled. Common aerosols products found in the rubbish bin are deodorants, hairsprays, oils, insect sprays and deodorisers. The aluminium beverage can is one of the most sustainable packaging solutions available.It protects its contents, is cost-effective and can be recycled after use again and again. Recycling material placed in the rubbish bin goes to landfill and adds to the cost of disposal. This material is lost to the recycling process. Out-of-date and unwanted medicines can be returned to your local pharmacy. 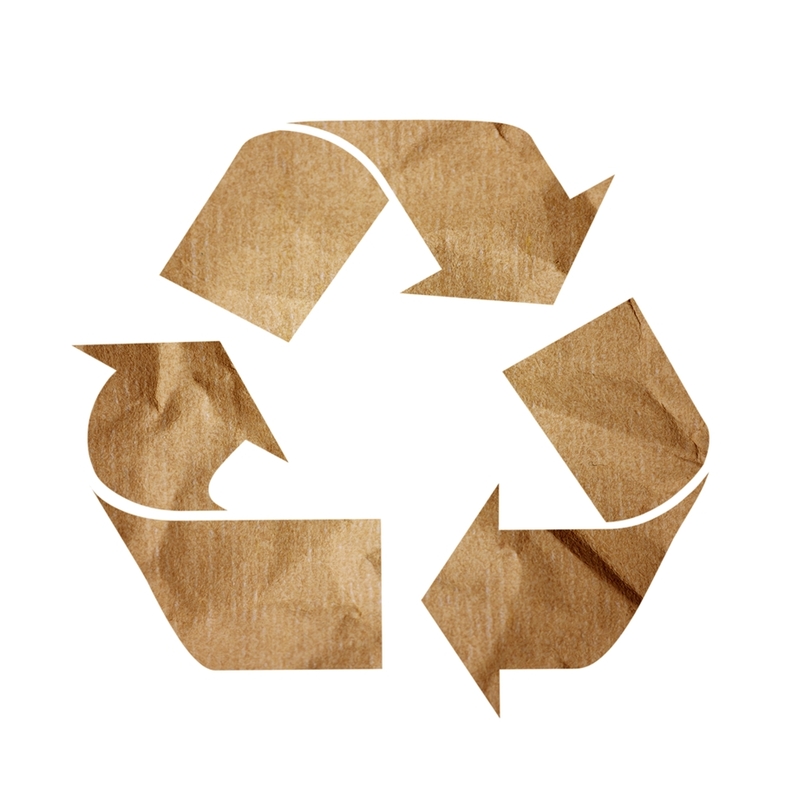 Cardboard is one of the easiest and most environmentally effective materials to recycle since the fibre in cardboard has already been processed. 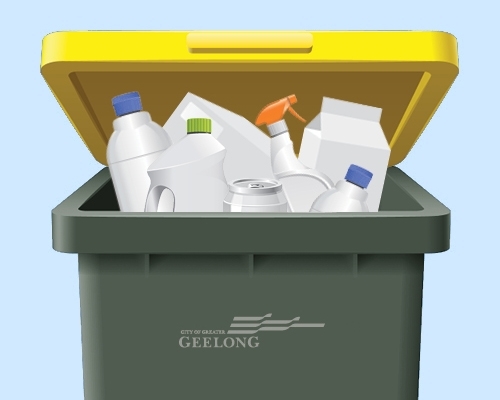 Metal pots and pans (no lids) and plastic toys (no batteries) can now be put in your yellow lid recycling bins. Plastic bags, drinking straws, broken crockery and polystyrene containers are the most common items mistakenly placed in the recycling bin. Plastic bags can be recycled through bins at participating supermarkets. The other items should be in the rubbish bin. Ceramics, vases, mirrors, heat-proof cooking glass, drinking glass & china cannot be recycled because they heat at a different rate to regular glass bottles & jars. This causes them to weaken recycled glass & can contaminate a whole load of sorted glass, even in small amounts. Batteries, motor oil, fluoro tubes, paint and BBQ gas bottles can be taken to the Resource Recovery Centre for free. They can then be disposed of safely. 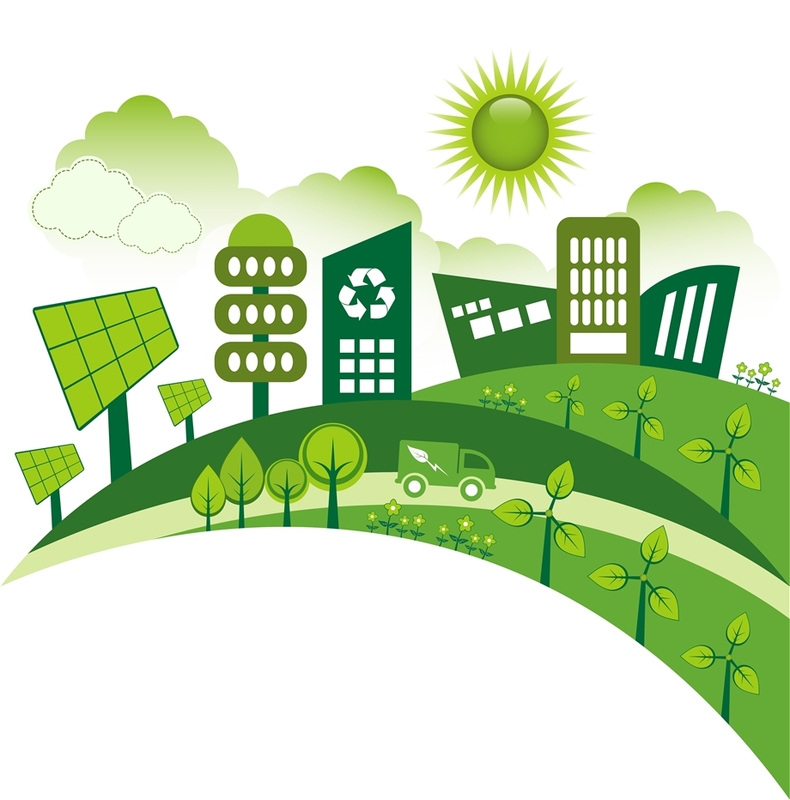 The GEELONG RESOURCE RECOVERY CENTRE is located at: 100 Douro St in North Geelong Phone: 035272 2613. Not sure of what goes where? Find out how to dispose of your unwanted goods correctly.